Point2 Homes gives you far more than a simple list of houses for sale. Get instant access to a lot of relevant information about Winnipeg, MB real estate, including property descriptions, virtual tours, maps and photos. The search results pages also have a wealth of information on Winnipeg, MB, if you scroll all the way down. There are houses for sale in Winnipeg, MB. 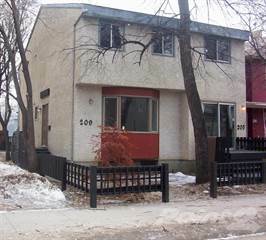 Searching homes for sale in Winnipeg, MB has never been more convenient. 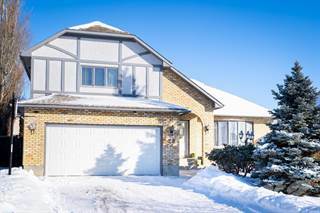 With Point2 Homes, you can easily browse through Winnipeg, MB single family homes for sale, townhomes, condos and commercial properties, and quickly get a general perspective of the real estate prices. Also, you’ll never miss a bargain if you filter listings based on house price drops in the past six months. 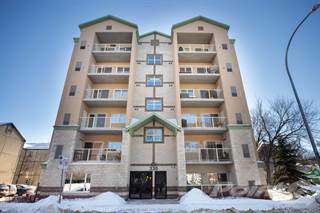 Use the map view to find Winnipeg, MB homes and apartments for sale, based on amenities or city features that you may want close by. You can close in on a specific neighbourhood or area by simply drawing around them with the polygon or radius tools. Stay informed about the latest entries on the real estate market by saving your searches. This way, you get new listings in your inbox, daily or every week, based on your preferences. If you’d like to get in touch with a professional, agents are displayed next to their listings, and they’re easy to contact through the online forms. If you want more options, you can click the Tools tab and Find an Agent, and you’ll get a list of helpful and knowledgeable real estate agents in Winnipeg, MB. Visit the Point2 Homes blog and you can find up to date expert advice on many markets throughout Canada, regular market reports, neighbourhood scoops in cities throughout the provinces, real estate deals and useful recommendations. Winnipeg is the capital city of the province of Manitoba and it is also the largest city. It has a population of over 730,000 people in its Metro area. The Metro area covers 5,303 square kilometers of the province. Two common nicknames for this city are "Winterpeg" (used because of the province's winter season) and "Winnerpeg" (a name that is used as a term of endearment for the city and when their hockey team the Winnipeg Jets win). Winnipeg boasts a diverse economy and low unemployment rate. There are 456,000 people who are apart of the labour force in the city and that number continues to grow. The city has the sixth-highest growth rate out of all of the other metropolitan areas in Canada. The main industries in Winnipeg are manufacturing, retail and transportation. Many large companies that specialize in these industries have their headquarters in the city. For example, Old Dutch Foods, Cabela's Canada and Kindersley Transport all have headquarters here. A growing industry in the city is agriculture. It has been experiencing a boom over the past few years. There are hotspots for shopping located all over the city to fulfill all shopping needs. Winnipeg is home to the largest shopping mall in the province, CF Polo Park. It has over 200 stores. Some other shopping areas offer boutiques and smaller shops to add to your shopping experience. Winnipeg is plentiful in entertainment from festivals, nightlife, sports and more. The arts are strong in the city with a strong community of writers and musicians. Winnipeg has two major sports teams: the Winnipeg Jets and the Winnipeg Blue Bombers. The Winnipeg Jets are the city’s NHL team who play at the MTS Centre. They are arguably one of the more popular teams here. The Winnipeg Blue Bombers are the city’s CFL team who play at the Investors Group Field. They have won the Grey Cup an impressive 10 times. For those who enjoy attending festivals and events, Winnipeg has a few large events with music and other activities. These include the Big Fun Festival and Canad Inns Winter Wonderland. The Big Fun Festival offers music over 5 days throughout downtown Winnipeg. Canad Inns Winter Wonderland is a drive-through lights festival where vivid displays of lights are shown annually. Although these festivals can be very different, they provide a nice night out with friends and family. There are hotspots for shopping located all over the city to fulfill all shopping needs. Winnipeg is home to the largest shopping mall in the province, CF Polo Park. It has over 200 stores. Some other shopping areas offer boutiques and smaller shops to add to your shopping experience. There are 15 city wards within Winnipeg the serve as a good guideline for the sections of the city. These will be further broken into parts of the city referred to as the North End, West Winnipeg, South Winnipeg, East Winnipeg and Central Winnipeg. Central Winnipeg is made up of the ward Fort Rouge – East Fort Garry. The Downtown sector is in the north end of this ward. This area is the home of the MTS Centre. Here there are parks and plenty of places to visit. With many theatres and galleries there is always something happening in this part of town. Chinatown and Central Park are both found in this area. The North End includes the wards of Old Kildonan, Point Douglas, Mynarski, and North Kildonan. The Red River runs to the east of this section. This area is ethnically diverse. < There are parks and gardens scattered throughout the North End as well as pools and recreational facilities for the enjoyment of residents. Some notable neighbourhoods here include Point Douglas, and Mynarski. East Winnipeg includes the wards of Transcona, St. Boniface and Elmwood. This area is home to many middle-class households but there are some lower-class spots in the area. The neighbourhood of Transcona is rich in sports and has indoor arenas and clubs. West Winnipeg is comprised of the wards St. James – Brooklands – Weston, Charleswood – Tuxedo – Whyte Ridge, River Heights, Daniel McIntyre and St. Charles. This area is largely residential and very ethnically diverse. The neighbourhoods are also diverse in their own right, with some neighbourhoods such as Spence being on the very low scale of household income and others like Armstrong Point on the higher scale. South Winnipeg is made up of South Winnipeg – St. Norbert and St. Vital. There are original communities and modern suburbs here. There are also many parks and recreational areas here. In the neighbourhood of St. Norbert they have a farmer’s market that attracts people from all over Winnipeg. This is a bilingual part of the city. The average price for a home in Winnipeg is a little under $300,000. Winnipeg average home value has gone down 10% compared to same period last year. This information is based on data taken from the Canadian Real Estate Association (CREA’s) National MLS® market report for October, 2017. The public schools in Manitoba are operated under the Minister of Education. There are 6 school divisions in Winnipeg: Seven Oaks, River East Transcona, Winnipeg, St. James-Assiniboia, Pembina Trails, Louis Riel. The schools in these divisions offer programs in English and French. In high school, there is the option of attending schools that offer full-year schooling, or schooling in semesters. As for post-secondary education, Winnipeg understands the importance of a knowledgeable and skilled workforce, and offers schools that can give the future work force what they need to succeed. Manitoba is home to three colleges, and four universities including the oldest university in Western Canada, The University of Manitoba.